Mikel was born and raised in Miles City, Mt. After graduating from Custer County High School, he attended college at Montana State University-Bozeman. He received a Bachelor’s Degree in Finance, with a Minor in Economics. After completing his Bachelor’s Degree, he studied at the prestigious American Academy McAllister Institute of Funeral Service in New York, NY, where he received his Mortuary Science Degree. Mikel is one of seven family members serving as a mortician, and is part of his family’s third generation in service to those in need. 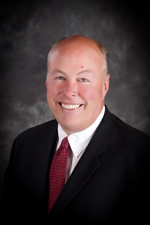 He is currently working at Anderson Stevenson Wilke Funeral Home in Helena, MT. In his off-hours, Mikel enjoys golfing, fishing, hunting and working on old cars — just like his father, Joe Stevenson. Mikel also loves watching sporting events — just like his Mother, Patty Stevenson. 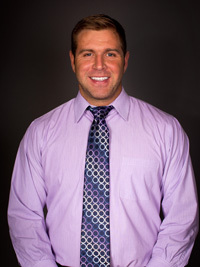 Erik was born in Helena Montana and raised in Miles City, MT. 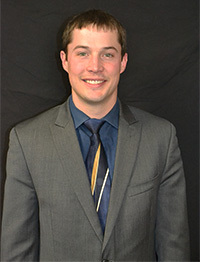 Erik graduated from Custer County District high school in 2005 and attended Montana State University in Billings to pursue a degree in business management. Realizing that his true passion was caring for families and the community around him, Erik enrolled at the Mount Hood Mortuary School and graduated in the summer of 2011. After graduation, Erik was able to fulfill his dream of moving back to Helena where he spent many of his summers growing up and is now able to serve the community which he is extremely passionate about. 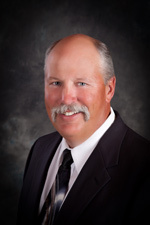 Erik is an active member of Bill Roberts’s golf course, Young Professionals, Montana Club, Exchange Club and the Montana Funeral Directors Association. Erik enjoys Montana’s great outdoors and when he finds time for relaxation he enjoys both snow and water skiing, golf, hunting and playing hockey. After graduating from Mount Hood Mortuary in 1980, Joe returned to the family business in Miles City. Joe and Patricia Riley were married in 1981, and have four sons: Jason, Scott, Mikel and David. Joe is a member of the Rotary Club, Elks, Miles City Club, Montana Funeral Directors Association, National Funeral Directors Association and Grace Bible Church. Joe relaxes by spending time at the barn with his Clydesdales. He also enjoys the challenges and rewards of car restoration, as well as being a pilot. Patty was born in scenic Missoula, MT. She graduated from the Powder River High School in 1978 and then attended college at Montana State University in Bozeman, MT. Patty and Joe Stevenson were married in 1981, and continued working together at the funeral home in Miles City. Patty and Joe have four children: Jason, Scott, and the twins, David and Mikel. Patty is a member of Grace Bible Church and loves to watch sports whether on TV or in the stands. Todd was born in Miles City, MT and is a graduate of Custer County District High School. Todd and Terri were married in 1982, and graduated together from Mount Hood Mortuary School in 1984. They then returned to work together in the family business in Miles City. They have two children: Tiffany and TJ. Todd is a member of: The Grace Bible Church, Montana Funeral Directors Association, The National Funeral Directors Association, Eagles, Miles City Club and the Miles City Town & Country Club. In his very limited spare time Todd enjoys gardening and growing trees, water activities and fishing. He also looks forward to spending any time at all with his four grandsons. Terri was born in Redding, CA and graduated from Green Mountain High School in Lakewood, CO. Terri married Todd Stevenson, in 1982. She then graduated with Todd from Mount Hood Mortuary School in 1984. Terri and Todd have two children: Tiffany and TJ. 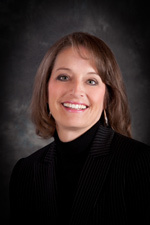 Terri is a member of The Grace Bible Church, The Montana Funeral Directors Association (where she was President in 2009) and The Miles City Town & Country Club. 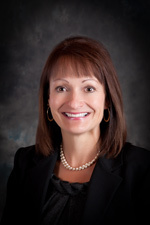 She is also serving on the Miles Community College Endowment Board. Terri is actively engaged in Grief Support and follow-up groups as well as Hospice. Terri is an outdoor enthusiast, who savors the time she spends gardening. She relishes spending time with family, and most of all, spending time with her four wonderful grandsons.